No official drop date has yet to be announced, but, with each passing day, we get closer and closer to the release of one of the most hyped collaborations in sneaker history, the Supreme x Air Jordan V Retro. 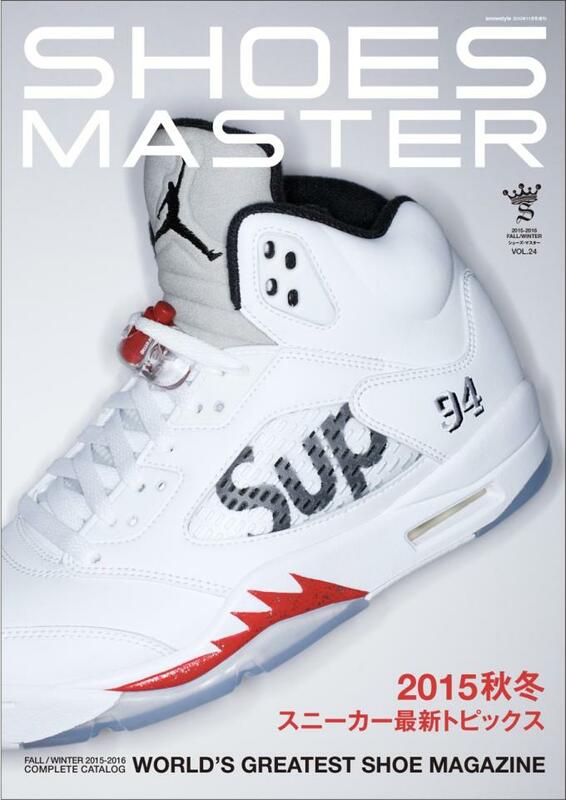 Adding to the hysteria and hype, the white colorway of the Sup x JB collab graces the cover of the venerated Japanese sneaker mag, Shoes Master. No stranger to unveiling and featuring Supreme goods early - this summer&apos;s GTS collab its most recent - &apos;heads will want to pick this copy up to to get a full look at the collaboration in the event the plethora of images found on the net has yet to satiate their appetites. Considering the shoe is on a Japanese publication, locating a copy could prove to be difficult. But if you have a friend living in a major city, chances are they can help you acquire one through a specialty book and magazine retailer.